Ametek Pentek Polydepth Polypropylene Sediment Filters | Applied Membranes Inc.
Pentair® Pentek® Polydepth® Filtration Cartridges are constructed of thermally bonded polypropylene microfibers to ensure high efficiency. The filter incorporates a rigid polypropylene center core for increased collapse strength and durability. This thermal bonded micro-fiber construction has minimal fiber release, consistent flow rate and superior filtration performance. It also is not brittle or prone to breakage problems like resin-bonded cartridges. Unique micro-grooves provide added surface area. 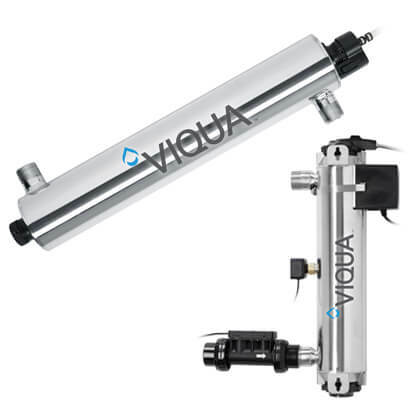 The Polydepth Cartridge will not impart taste, odor or color to the liquid being filtered, which makes it ideal for food and beverage applications. The recommended temperature limit of 40-175°F (4.4-79.4°C) allows it to be used in many hot water applications. Additionally, the polypropylene construction provides superior chemical resistance and is not prone to bacterial attack. Thermally-bonded polypropylene micro-fiber construction for higher filtration efficiency, consistent flow rate, and superior filtration performance. Pentek Polydepth Series Polypropylene Filters replace Pentek Resin Bonded Cellulose Filters (RB Series), which are now obsolete. Please use the below cross reference table to choose the appropriate replacement.